So, we’re gonna ride right on past the part where I apologize for not blogging for 3 months, and get straight to the point. I WILL BE RESTARTING THE AZURES SOMETIME SOON. 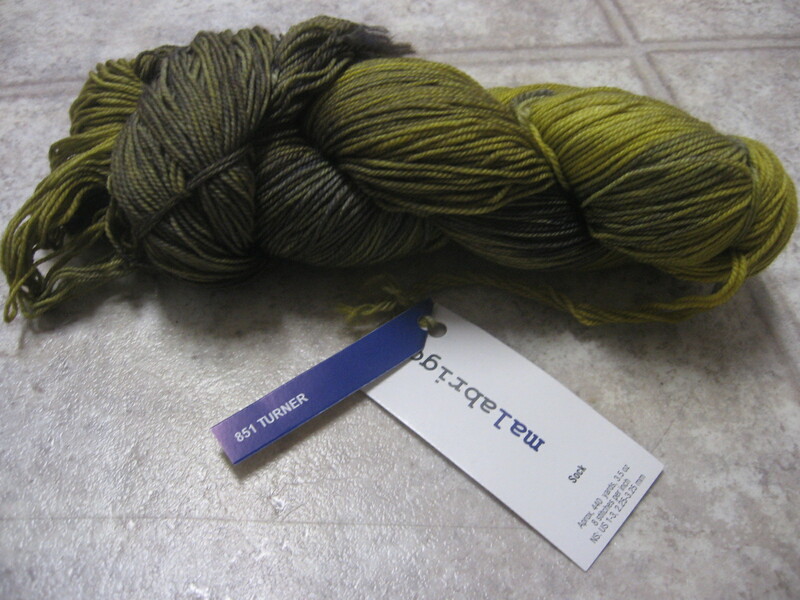 I want to use one of the 3 eligible Malabrigo Sock skeins for the Azures. The one skein that is spoken for is in Tiziano Red. Oh lordy, it is GORGEOUS. 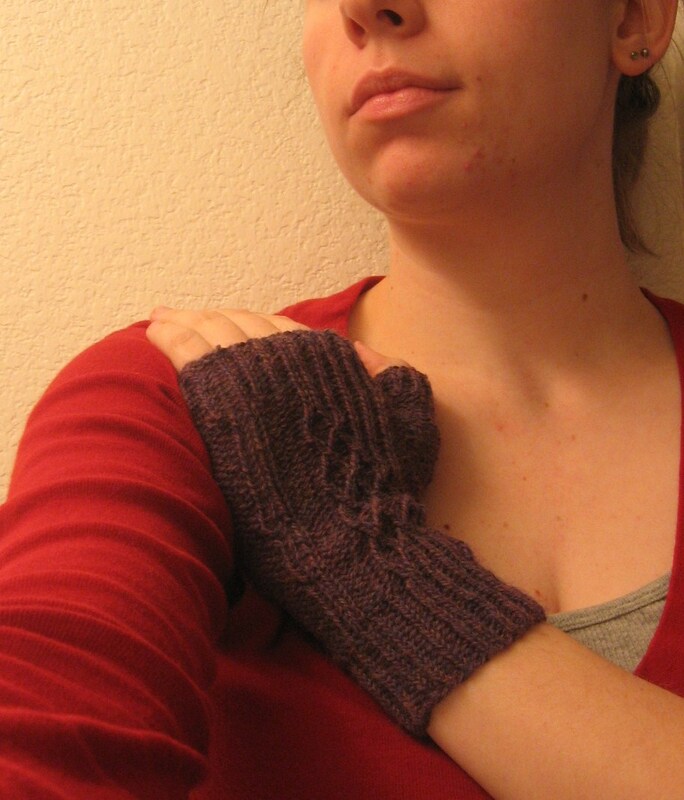 I’m going to use it to make another set of my Untitled Mitts. 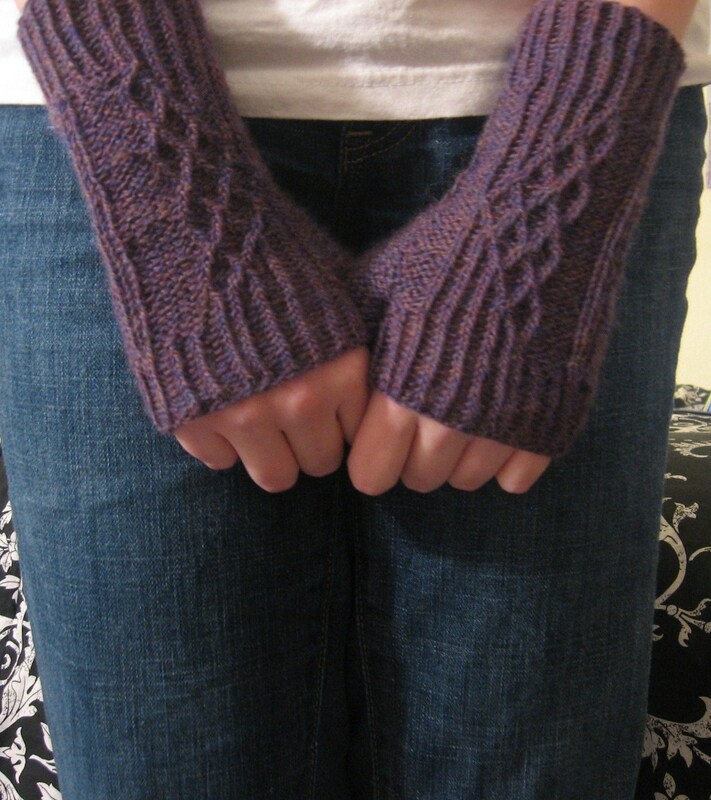 The original pair were knit in KnitPicks Palette. There are some changes I need to make to the pattern, so I’m going to make another pair, and they’re going to be awesome. So, on to the poll! 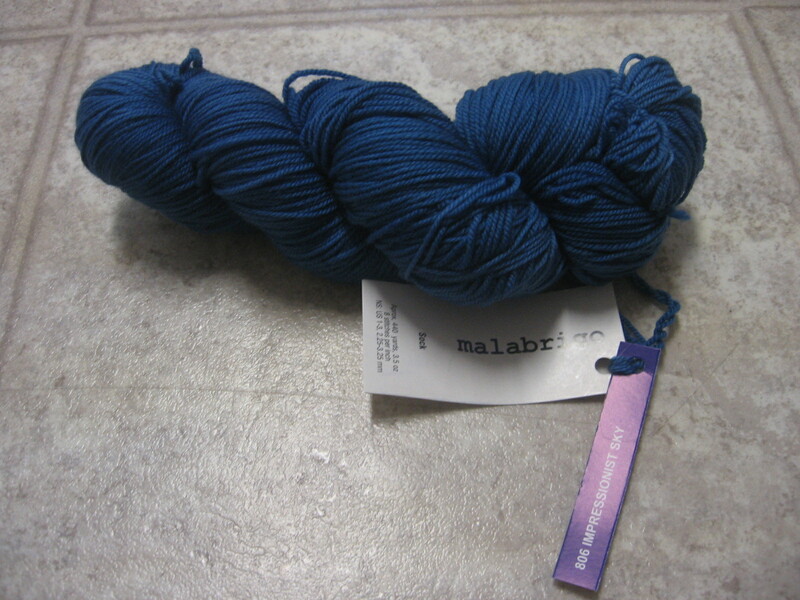 The 3 skeins I have available are Turner, Stonechat, and Impressionist Sky. 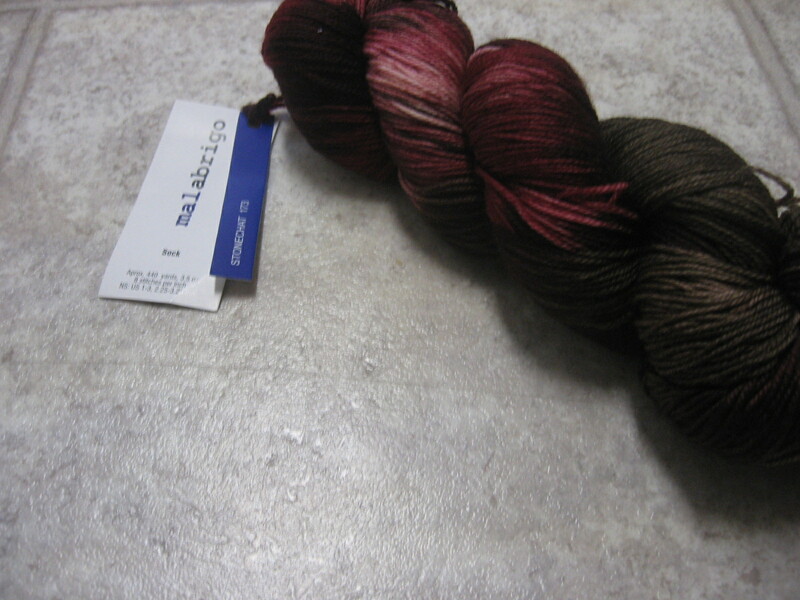 Each colorway is gorgeous and would make an amazing pair of socks (and probably will someday) but I can’t decide! Personally, I am leaning towards Turner. BUT. “Azure” means blue, so Impressionist Sky is a close second. HERE COMES YOUR PART. Vote in this handy-dandy little poll for which colorway YOU think I should use. I can’t guarantee I’ll go with the results of the poll, but let’s just see what happens. 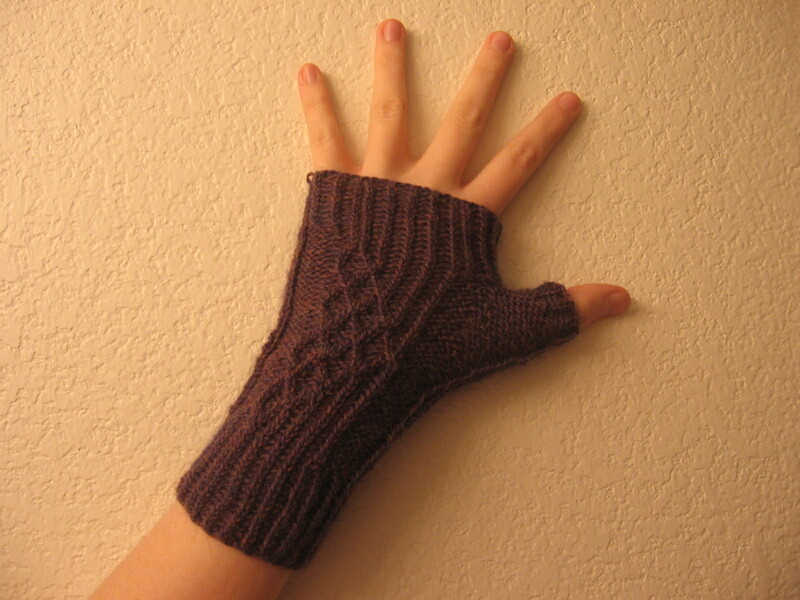 Tonight I started swatching for Magic Mirror Socks with Schoppel-Wolle Crazy Zauberball (both Ravelry links). Um, REALLY EXCITED about it. And lastly, I designed the Firebending Hat. Pattern forthcoming. New design I’m working on. It will be published on this blog as soon as I get it typed up and prepared. I think it’s going to be my first pattern for sale, instead of offered free. My lovely friend Dani suggested that I sell the pattern, and when I said I didn’t even know where to begin with selling patterns, she offered to help me. I’m excited about it! 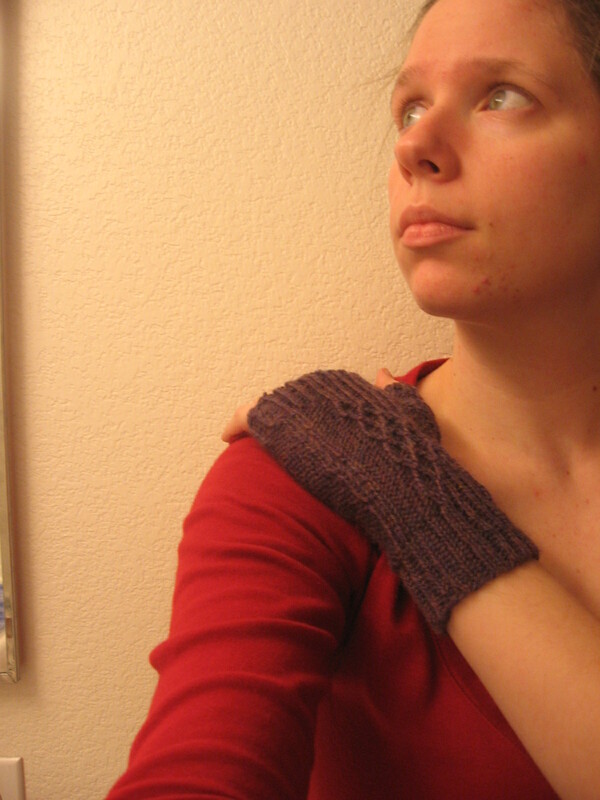 It’s been fun to knit so far, and I can’t wait to finish the pair and release the pattern!